This was my first reaction upon opening the first issue of Titan Comics’ Fourth Doctor series – the comic series I have been waiting a very long time for – after moments earlier finding a collection of Twelfth Doctor comics, and finding pages that I would charitably describe as ropey, not only in their ability to capture Capaldi’s Doctor, but also in carrying an atmosphere. It was disappointing, and lead to me keeping my wallet in my pocket. 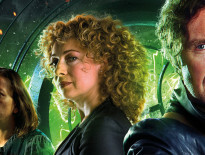 Would the Fourth Doctor comic be the same? First impressions were good. After a brief intro page explaining that this is a Fourth Doctor and Sarah Jane Smith story, we were taken to a gothic London mansion in 1887. Bread and butter Robert Holmes stuff – very encouraging! My copy came with Alice X Zhang’s iconic Fourth Doctor painting, the greatest incarnation of the Time Lord surveying the reader judiciously. Zhang’s work on the Titan range has been superb, of course, and I cannot be the only fan awaiting mini-series of the entire classic series incarnations, if only to have the chance to marvel at her interpretations of the Doctor’s full complement of other selves. A handy information/introduction page sets the scene, telling us who Sarah Jane (whom the Doctor rarely addresses as such, preferring the shorter “Sarah”) and the Doctor are, a useful catchup for modern era fans and non-fans alike. 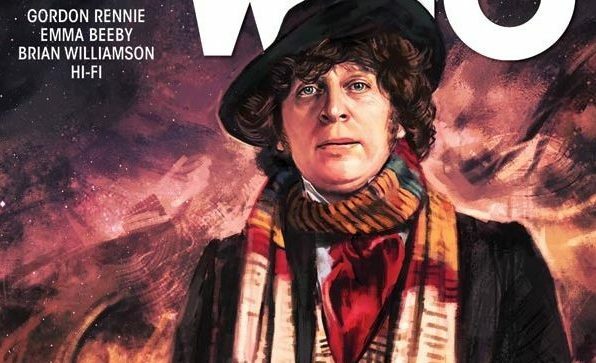 But the Fourth Doctor series has a feel that is in keeping with the televised era, and its subsequent comic book extension in Doctor Who Weekly/Monthly. 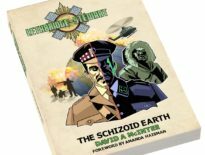 Brian Williamson’s illustration is beautiful, capturing the likenesses of the stars in just the way you would expect, and the set up to Rennie & Beeby’s script is reminiscent of one or two recent 2000 AD serials. In short, if you’re a fan of Four and Sarah, and have been disappointed by the artwork in some other Doctor Who titles from Titan, you need to be reading this new series. The Fourth Doctor is well and truly back, and if you lend your support to this series, could come back again and again.